Do you already know that you need to make some changes to balance things out and create the life you really want–but just can’t seem to get the process into gear? This can be especially confusing for you because you’ve already demonstrated hard work, tenacity, and flexibility when it came to mastering your bodybuilding and training efforts, right? 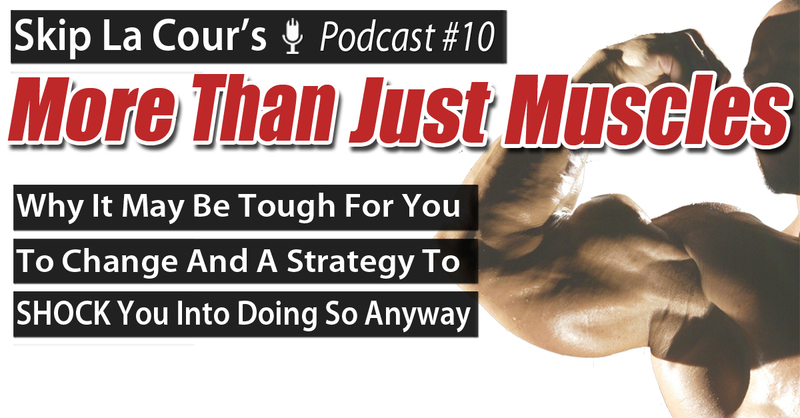 During this More Than Just Muscles podcast titled “Why It May Be Tough For You To Change And A Strategy To SHOCK You Into Doing So Anyway,” Skip La Cour breaks down why it may be that way for you and an emotional exercise that could shock you into finally making those changes you want to make.